NOTE: It is essential to present your ID card or Passport at Casino Mediterraneo reception to access the restaurant. Admission is not allowed for minors under 18 years. In Casino Mediterráneo Alicante, situated in a prime location within the marina of the city&#039;s port, you will find the Restaurant Casino Mediterraneo, where you can enjoy the exquisite creations created by our chef Gaspar Tomás. This space is focused on delighting the senses with its culinary excellence that is characterized by its quality and elegance. Casino Mediterraneo presents many different options that make for a perfect dining experience in the exciting culinary world, where you can enjoy food a la carte or opt for any of the tasting menus. Their selection of wines is the perfect companion to this singular experience, where you are guaranteed quality, good service and excellent views of the Alicante Marina at all times. 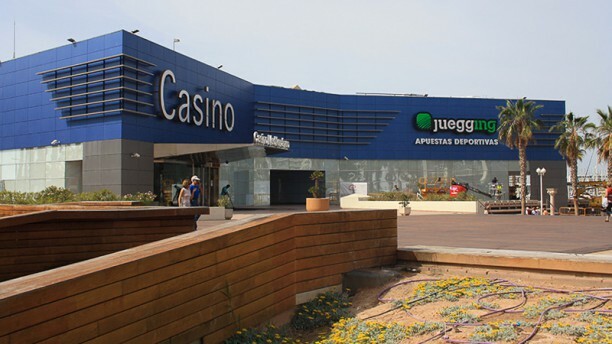 It´s necessary present your card ID or passport in reception for entry to the restaurant, because it is part of the Casino. Children under 18 years old are not allowed. Car park Parking Casino. Free for Azar Restaurant coustomers. Hola Alfonso. Gracias por tu visita y por el comentario. Esperamos verte de nuevo por aquí. Saludos. Sentimos las molestias. Además no entendemos tu comentario puesto que no percibimos tu malestar durante la cena. Si eres tan amable de indicarnos qué motiva tu opinión, estaremos agradecidos y podremos mejorar. Saludos. Pablo sentimos que el entorno no fuera lo que esperabais. Trabajaremos para mejorar la experiencia de los comensales. Esperamos que os volváis a pasar para tratar, esta vez sí, de disfrutar más de la cena. Hola Lucia, sin duda os esperamos con los brazos abiertos. Esperamos que disfrutéis tanto como esta vez. Saludos. Encantados de que fuera una gran experiencia tu decisión de cenar con nosotros. Aquí estaremos para próximas veces. Saludos. Very good service from our super friendly waiter Enrique. Even taught us some Spanish! Un sitio maravilloso, con vistas al puerto, romántico y platos exquisitos. Service was awesome. Attention to detail and we certainly enjoyed the meal. The only disappointment was the steak was served well done despite medium was ordered. At first the manager kindly explained us, that it was a mistake and the dinner should cost 18€, but as it was a mistake of the site, we've paid 13€. The atmosphere of the restaurant is pleasant, the waiter was very polite and attentive. Dishes are delicious and portions are big. We really enjoyed this dinner. At the end we were given a ticket for 5€ to play in casino. Eventually we've passed a perfect evening. The kitchen is really very good there! Try lingote de foie and bacalao! Was very tasty. Desert - bavaroise with frozen orange - great!